Accidental death and dismemberment insurance supplements your existing life insurance coverage. 3. Does Car Accident Insurance Pay for Pain and Suffering? Accidental death and dismemberment insurance helps you provide for your family even after a catastrophic accident. The injury or death must be a direct result of an accident. The insurance company may require an investigation to prove the connection between the accident and your claim. The insurance premium is based on the type and amount of coverage you choose. You can purchase an individual policies or one policy that covers your entire family. AD&D insurance pays a lump-sum benefit to your designated beneficiaries if you die in an accident. Dismemberment or permanent disability also pays a partial benefit. The amount of the benefit is based on the severity of the injury and your policy limits. Depending on the terms of your policy, you may also be compensated for lost wages as a result of the injury. Many AD&D policies exclude pre-existing conditions and self-inflicted harm such as suicide or accidents resulting from reckless driving. Pre-existing medical conditions may also disqualify you for AD&D coverage. Negligent behavior such as failing to wear a seat belt or driving while under the influence of drugs or alcohol can result in an exclusion for injuries caused in an accident. Other common exclusions include high-risk activities such as skydiving, active combat duty and major surgery. You may be entitled to additional services on top of any cash benefits paid out. These services often include counseling for the surviving spouse and your children, allowances for child care or home remodeling to accommodate a disability. Your insurance company may charge an additional premium to add these services to your policy. Life insurance pays out under more circumstances than an AD&D policy. AD&D insurance only covers death and dismemberment resulting from a covered accident. Because the chance of a qualifying claim is lower with AD&D insurance, the premiums are also usually lower than a comparable life insurance policy. 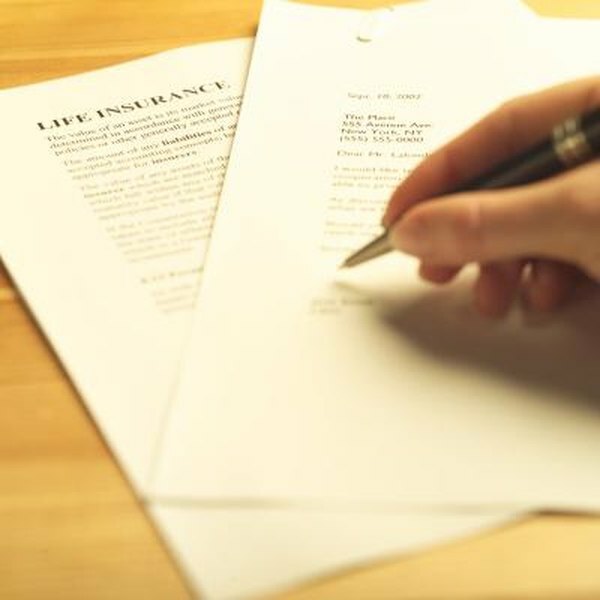 You may be able to add AD&D coverage to an existing life insurance policy. This entitles you to two separate payouts in the event of an accidental death. Only a death within three months after an accident will be covered. Are Workers' Comp Indemnity Earnings Taxable?